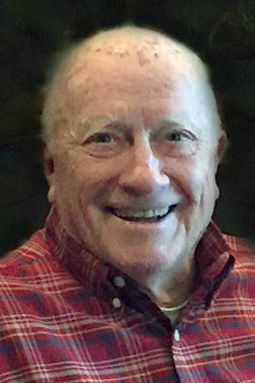 Emil L. Yost, age 88, of Fremont passed away Wednesday, Nov. 8, 2018, at Providence Place in Fremont. He was born Dec. 24, 1929, in Hastings to Emil and Devona (Bell) Yost. Emil graduated from Hastings College and then served in the U.S. Air force from Jan. 3, 1951, to Aug. 14, 1954, during the Korean War. Emil married Helen Knigge on Aug. 16, 1952, at First Presbyterian Church in Hastings. They lived at various places due to employment, including Boston, Los Angeles and finally settling in Fremont in 1969. He was a very active member of The Presbyterian Church in Fremont and served on various boards and committees including the Stephen's Ministry. Survived by sons, Michael (Kristine) Yost, Lakewood, Colorado, and Jonathan (Renee) Yost, Lincoln; daughters, Debbie Yost-Heuring (Michael), Fremont, Suzie Yost (Jimi Gomez) of Chico, California, and Kristi (Curtis) White of Omaha; 10 grandchildren; many great-grandchildren and two great-great-grandchildren. Preceded in death by his parents; wife, Helen; and great-grandson, P.J. Ryan. The memorial service is 10:30 a.m. Tuesday, Nov. 13, at The Presbyterian Church in Fremont. Committal and Military Honors will be at Memorial Cemetery in Fremont. Memorials to The Presbyterian Church Music Fund.